The share buyback could happen at around 20-25 per cent premium to the current market price, according to news reports. 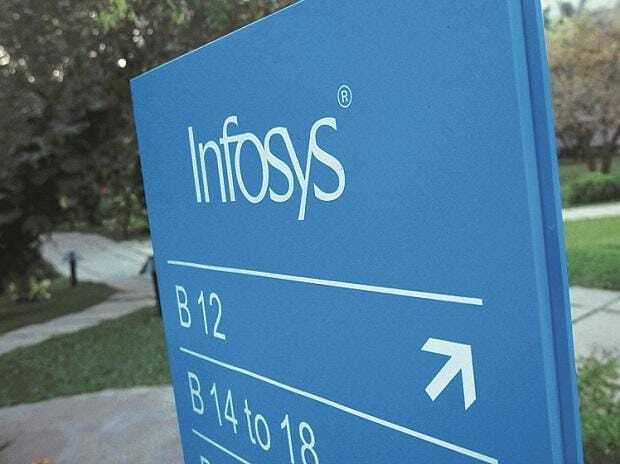 Shares of IT major Infosys climbed as much as 2 per cent to Rs 659 apiece on Monday amid reports the IT major may consider a second share buyback proposal of $1.6 billion (Rs 112.30 billion) in which some founding family members could tender their shares. The share buyback could happen at around 20-25 per cent premium to the current market price, The Times of India reported. The announcement of the buyback can be a part of the board resolution when it meets on January 11, the report added. Infosys did not immediately reply to the newspaper's request seeking a comment on the story. Last year, the software services major bought back 113 million shares at Rs 1,150 apiece (unadjusted to 1:1 bonus shares), amounting to Rs 130 billion. The buyback scheme – a first in the company's over three-decade history – commenced on November 30 and closed on December 14, 2017. The programme saw participation from Life Insurance Corporation of India, Singapore government, Sudha Gopalakrishnan, wife of co-founder S Gopalakrishnan, and Rohan Murty, son of co-founder NR Narayana Murthy, among others. Share buybacks typically improve earnings per share and return surplus cash to shareholders, while supporting share price during the period of a sluggish market condition. Analysts say it's a positive move by the company and long-term investors will benefit from it. "Regular buyback is a tax-saving instrument for investors and hence, it is a great wealth-creating opportunity for them," said AK Prabhakar, Head of Research at IDBI Capital. At 10:19 am, the stock was trading at Rs 653 apiece on BSE, up 1 per cent. On a year-to-date (YTD) basis, the stock price has outperformed the benchmark index Sensex, by rising 24 per cent. The S&P BSE Sensex, on the other hand, has given around 5 per cent returns during the window.